Rain Frayer is the daughter of the Fire Stone pack Alpha, and an only child. With no siblings, and parents who are always busy, she spends all her time with her best friend, and future Beta, Sean. They have always been together, and nothing could separate them. So when Sean finds out his mate is Samantha, a girl who has bullied Rain since the first grade, he starts to change. Rain feels as though she can no longer trust anyone. She runs away, wanting to get far, far, away from everything. 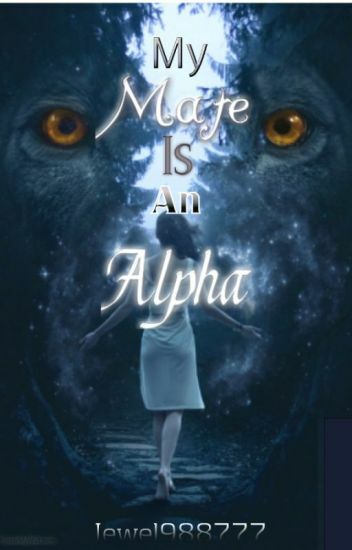 She is cold and broken, as she has lived 3 years as a rouge, until she unexpectedly crosses into the territory of another Alpha, who happens to be her mate. Soon she will discover dark secrets, that will put her and her mate in danger. Will she get past them? Or will her past get her? "- Have you figured it out? He asks me as he manages to place one of his hands on my face before he traces it down my neck, past my chest and down towards my hips where he grabs a solid hold of my thigh. I answer as I move my head slightly closer to his, my hands still around his neck. - What have you discovered? He asks as he moves closer to me in return, our eyes burying into each other. - That I want you, and that I need you. The tip of his nose barely touches mine, but the tension between us causes our skin to be ten times as sensitive as it normally is. - I want you to claim me, Blake. I need you to claim me...now." Three years ago, Blake and Kate's destinies were intertwined by an event that caused them both losses they found hard to cope with. Now, three years later, they come to meet at the very scene where it all happened, only to find out that they are mates. But Blake is a rogue, and very responsible for the loss that Kate has suffered. On the other side, Blake has led a life filled with pain, punishments, his entire body is scarred to pieces. Into his past, there is someone hunting him and he doesn't even know who or what. All that he knows, is that the moment he and Kate lock eyes with each other, he's no longer supposed to live a lonely life. However, it all depends on whether or not Kate will trust him or not. Will she accept her destiny that her mate is a rogue? Will she come to terms with his past? I was soon deemed an Omega, diminishing hope of our pack having an Alpha female. My father had things under control but he is getting old and wishes to retire. Cale will soon be Alpha. I'll live with my brothers in the Alpha section of our hidden underground mountain pack headquarters. I'll just wait to find my Mate and live an under-privileged Omega life. I'll be in love and take care of pups whose parents are away on pack trips. I'll stay in the mountain living a sheltered life. How I would kill to be an Alpha. ~~~~~~~~~~~~~~~~~~~~~~~~~~~~~~~~~Ashlyn was born into a pack of werewolves. It just so happens that her family is made of Alphas and a Beta. Until she came. She's an Omega. One that is rubbed raw when she has to obey orders- and that's just not natural. 17 year old Angel has been through a lot. She has been hurt and watched her family and pack be destroyed. She has been Rogue for 2 years and what happened had left her scared, cold, and always watching over her shoulder. Will finding mate help or make things much more complicated? Read and find out what happens to my sweet Angel;)! A werewolf love story, in which fiercely independent Amelia Scott is mated to future Alpha of the Midnight Blue pack, Finn Heids. Who is gorgeous, charming and very, very possessive. Just as Amelia is ready to become Luna, something happens that shakes the pack, and the bond Amelia and Finn have developed. Will they be able to recover? Will they even get the chance to? My Alpha barged into my room and started speaking softly but very threateningly, "you didn't make dinner, Why is that? Do you want to die tonight. There is already fighting and we haven't got anything to distract him with!" And with that he was on top of me, beating me senseless. I screamed, hoping maybe this visiting Alpha was kind enough to help me. I heard footsteps and smelled a familiar smell. "Help!" Was all I wheezed out before blacking out. *I AM AWARE OF HOW SUCKISH THIS BOOK IS. IT WAS MY FIRST BOOK AND I'VE GOTTEN BETTER. I WILL NOT BE EDITING THIS BECAUSE I AM A HIGH SCHOOL STUDENT WITH NO TIME ON HER HANDS. How to save your mate. Ava, a lonely abused wolf. Forever alone is her motto. Jace, a feared  alpha, know as heartless,uncaring,and rude. Jace always wanted a mate through, but will he find what he is looking for in the quite Ava? Meet Libby, the badass who's the most feared rogue around. Then meet Damon the soft hearted Alpha. What happens when Libby wanders onto the Dark Moons Pack territory home of Alpha Damon. And what happens when they both figure out there mates. Does Libby leave her rogue life and become Luna or does Libby reject Damon and his pack? Add in creepy stalkers, mysterious letters, crazy sluts and murders into the mix and you have a whole heap of trouble. crystal has just turned 17 when she became a rouge. she was alone til she wondered into the blue blood pack. In her old pack, Hailee was raped an beat by the Alpha. When his mate passed, he fell off the deep end.Her twin was driven away by bullies. Finally, she cant take it. She runs. Alone she ventured into the unknown as a rogue. Until she comes across the Dark Water Pack. Braylin is the new Alpha of the Dark Water Pack and at twenty, still mate less. It is practically unheard of for a man of his age not to have a mate. One day a lone rogue stumbles upon his land and his world is turned upside down.